Future Health Concepts, Inc., has been selling quality new and refurbished medical equipment and replacement parts since 1975. Our product line includes surgical tables like our FHC1000S which features remarkable C-arm access and a 1,000lb weight limit. FHC’s product line includes Blanket Warmers, Fluid Warming cabinets, Surgical Scrub Sinks, Stretchers, a full line of Stainless Steel Products, Operating Room Lights by Amsco / Steris, and Patient Monitors by Larsen & Toubro. 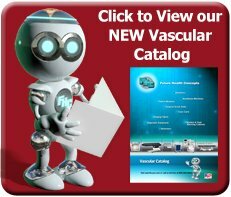 We offer over 70 different hospital equipment product lines to provide for all of your medical equipment needs for your Surgery Center or Hospital. Call us today at 888-282-8644! Future Health Concepts, Inc., does all of our refurbishing in-house on medical equipment such as our refurbished Steris / Amsco sterilizers/autoclaves, washers and O.R. tables. We also sell new equipment, featuring our FHC1000S surgical operating room table. For more information on our FHC1000S, please watch the short video below to see our featured operating room table. 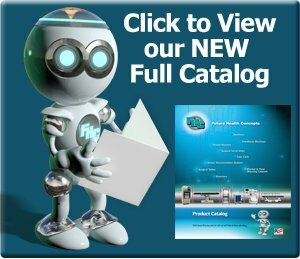 Click below to view the FHC catalog online. If you prefer to have one mailed to you simply fill out our contact form and we'll send one out right away. 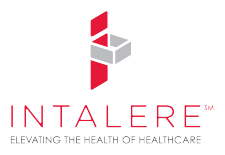 Future Health Concepts is a contracted supplier with the following GPO groups; Novation, MedAssets, and Amerinet.